I love to read and am known for getting through a book in a day if the mood takes me! My childhood was full of trips to libraries and begging for my parents to let me buy books from the monthly school list. Now with the internet my reading is primarily online but I still get my kicks out of the paperback. I haven’t gone over to the kindle yet but that is more because I am on screen all day at work and prefer to be off at home. So I thought I would do a regular segment on what I have read each month. Enjoy! I devoured two books this month on holidays in Prague. If you follow me on Instagram you would have seen me post these photos. The Bees, by Laline Paull, was recommended to me through the Baileys Womens Prize for Fiction. A tale of a bee in her hive and the story of its lifecycle had me intrigued from the start and I kept going back for more. 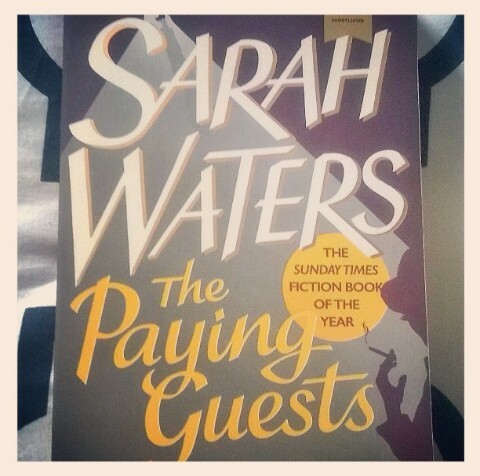 Actually the second book I read is also recommend from the same prize and was called The Paying Guests, by Sarah Waters. This was set post war in London and it was intersting to read the descriptions of life around that time and the hardships/wounds that everyone who survived seemed to bear. Here are a few of my online shorter reads you might be interested in. Want to make financial changes in your life? Mr Money Mustache belives everyone can ‘retire’ in seven years with some hard saving. Every had coffee or for me it is my hot chocolate spill out of your takeaway cup. Turns out the design of the cup is a perfect tsunami in the making! This article has a great video if you would rather then having to read anything. And finally if you want to live the life of a digital nomad then read Vickie Binz’s post from a conferance in Berlin where many nomads shared how they changed their lives.